“And now, I’m perfect.” Nobody’s story ends that way. Mine doesn’t either. I’m still very much a work in progress. The “Under Construction” sign is dented and weathered, but it will never be removed. But I do have a “before and after” picture. Maybe it would be better called a “before and during” picture. At one time, I weighed forty pounds more than I do now. When I hit my max weight, I was finally ready to admit that something was missing in my unspoken plan to eat right and exercise. The missing ingredient was the power to follow through. Skeptical that a virtual group could change my long-held patterns of unwise food choices, uninformed snacking, and disinterest in exercise, I attended my first meeting. Finished that session. Started another, because by then I could see how body, mind, soul, and spirit were responding to the truths I was discovering. I lost a quarter of a pound. Then a half pound. Then two pounds. I persisted because First Place 4 Health made sense scientifically, emotionally, and spiritually. 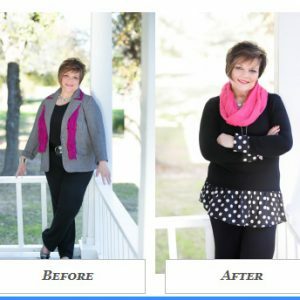 Logic coupled with caring support and accountability brought me to the day the scale registered forty pounds gone forever. I’d watched a friend in the group morph before my eyes. From ill-health and lethargy to health and strength. I took courage from watching her story unfold. As I continue to apply the First Place 4 Health principles and bond with the women in my online group, hope grows. Maybe that was the true missing ingredient. Hope. I picked up two 20-pound suitcases and climbed the stairs to the second floor the other day. That’s the equivalent of what I’d been hauling on my body without the benefit of arm muscles to help hoist the weight. That’s the strain I’d put on my body and energy every day, through every burdensome activity, until FirstPlace4Health taught me how to lay it down. And now, if you’ll excuse me, I need to go track what I had for breakfast. It matters. As does every bit of wisdom I’ve discovered or rediscovered through First Place 4 Health.